Allegro Medical offers many different types of gait belt supply options from many popular brands, including Norco, SafetySure, Invacare, AirMed, and more. You can find a range of gait belts and medical transfer belts in various styles and colors, and there are even some with patterns, such as the NVOrtho Stars & Stripes gait belt. If you need to find high quality products at the lowest prices possible, you can put your trust in AllegroMedical.com. With the Best Price Guarantee, you can always be sure you are getting a great deal. 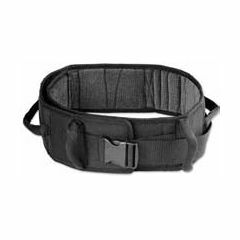 Scott Specialties Gait Belt with Buckle 2" X 60"